I spent the past few days on Facebook debating soon-to-be-Socinians in the CBMW on why you shouldn’t tinker with the Trinity. Some friends have asked me for a primer on basic Patristics texts. This is more or less an impossible request but I can start to lay the groundwork. If you devote at least a good six months to working through these issues, you will begin to see why tinkering with the Trinity must end badly. Hilary of Poitiers, “De Synodis.” St Hilary explains how the early Fathers had to break the back of certain categories before they became acceptable. Athanasius. Contra Arianos. This work is very difficult to read but it is his best work. Gregory of Nazianzus. On God and Christ: Five Theological Orations. The best thing ever written on Trinitarianism. Gregory of Nyssa. “Great Catechism” and “On Not Three Gods.” Advances the argument that the Trinity is one mind, will, power, and energy of operation. This is why Gospel Coalition types won’t engage me when I ask them how many minds are in the Trinity. Basil. On The Holy Spirit. Letham, Robert. The Holy Trinity. Letham has a number of blind-spots but he covers the material better than any. Lacugna, Catherine. God for Us. She is a liberal Jesuit and that comes out in her writing, but she does a fine job on the Cappadocians. Torrance, Thomas. The Trinitarian Faith and One Being: Three persons. The two best texts by a modern on the Trinity. Torrance has few equals. And no, his so-called “neo-orthodoxy” does not come out in this. McGuckin, John. Saint Cyril of Alexandria and the Christological Controversy. Excellent survey of Cyril’s thought and he makes the argument that Chalcedon, far from being a Western council, specifically made Cyril the standard for Christology. ———–. St Gregory of Nazianzus: An Intellectual Biography. Just fun. Beeley, Christopher. The Unity of Christ and In Your Light We See Light. Barnes, Michel. The Power of God. Explores Gregory of Nyssa’s use of “dynamis” in Christology. Farrell, Joseph. God, History, and Dialectic. Be careful but some good analysis. Photios. Mystagogy of the Holy Spirit. Perhaps the Filioque can be salvaged, but not by positing the Father-Son as a single cause. Jenson, Robert. Systematic Theology, vol. 1. Perl, Eric. Theophany: Dionysius’s Philosophy. Gould and Davis (eds). Loving God with Your Mind: Essays in Honor of JP Moreland. Some outstanding essays on what it means for universals to be exemplified. Maximus the Confessor. The Cosmic Mystery of Jesus Christ. Cooper, John. Body, Soul, and Life Everlasting. Morris, Thomas. The Logic of God Incarnate. This is tough and I am not sure I agree with all of his conclusions, but it is an important study nonetheless. Plantinga, Alvin. Does God have a Nature? Yeah, yeah, classical theism and all. Plantinga’s arguments can’t simply be brushed aside. Von Balthasar’s Argument: our being is rooted in time and is a “becoming in infinity,” or creaturely infinity. This doesn’t mean the creature is infinite, but has the capacity for endless growth. Since we can never fully “grasp” God, “there arises Being itself” (von Balthasar 22). Out failure to grasp it conceptually brings “a feeling of presence” (Gregory In Cant. II; 1, 1001 B). There are two infinities for Gregory. One is the infinity proper of God, which can never be applied to the creature. The other is the “infinity of growth in man.” In heaven, the soul is always moving towards God, yet because God will always be “beyond” the soul in heaven, the soul will always be growing. The self “perpetually surpasses the self” (Balthasar 45). This section is hard. Throughout this chapter von Balthasar will say things like “sensory knowledge is the foundation of spiritual knowledge.” As it stands, besides the statement being laughably false; no early Christian (or pagan) thinker would have said something like that. So he must mean something else. What I think he means is that the divisions between spirit and matter become so porous that they can be switched. We can almost speak of a materialization of the soul (which Balthasar says explains ghosts in cemeteries–those people who had given themselves over to matter). Our knowledge is rooted in time and “the creature can never go outside itself by means of a comprehensive knowledge” (Gregory, Contra Eunomius 12; II, 1064 CD). We know the logos of a thing by an ascensional movement towards the logos (Balthasar 93). It is ana-logical (upward-to-the-logos). Gregory sees our knowing God as imaging God and he sometimes sees the image as an active mirror, “whose interior activity is entirely ‘surface’” (115). Indeed, “image-mirror-life” are the three terms that “designate the whole created medium that allows the soul to see God” (116). Balthasar has the interesting suggestion that Gregory rejected the distinction between image and likeness, since image for Gregory was dynamic (117-118). 1) The immediate communication between God and man is now rendered accessible (147). 3) This dynamism requires a free response on man’s part. This is a rich and learned work. Von Balthasar captures the nuances of Gregory’s thought. Some passages are exquisite in their beauty. Spacing: the exterior limit–finite being’s being “enveloped” by the infinite. It is the receptacle of the material being (29ff). Spacing is the mode of creaturely being. It is the same thing as diastesis/diastema. Time: a progress by alteration (31). It is a tension directed towards its end but always within “the bounding limit” of spacing. Concrete universal: priority of genus over individual (65). Epinoia: subjective representation which does not reach the essence of a thing (91). It is an “inventive approach to the unknown.” It is the middle term between dominance and ignorance. Dianoia: human intelligence in its entirety; no distinction between inferior and superior reason. “The Law is spiritual.” This one sentence allows Origen to seek “mystical” meanings beyond that of the literal text–and in de Lubac’s hands he does a fairly impressive job. In many ways this work can be seen as a case study of de Lubac’s Medieval Exegsis (3 vols). Henri de Lubac’s argument is that the spiritual sense justifies the literal sense (de Lubac 121). Furthermore, “allegory” (whatever that word means) always has metaphysical and epistemological overtones. What you say about allegory will reflect what you believe about the soul and how you know that. As de Lubac will conclude, allegory is a “symbolic transposition” (437). All thought is mediated and “positioned” by figures. Allegory, although often abused, is simply a logical outworking of this truth. De Lubac’s Origen begins by noting correspondences between a trichotomous view of man and the 3-fold sense of Scripture. Man is body, soul, and spirit; not surprisingly, so Origen reads, so is Scripture. Up to a point, anyway. Scripture is unfolded as shadow, image, and truth (250). But we run into a small difficulty. The “three senses of Scripture” aren’t always locked in stone. Sometimes they can be “two senses.” When the mediating term is omitted, Scripture is elevated to the heavenly places. I think Origen paints himself into a corner here but we shouldn’t lose sight of his key epistemological insight: “Truth never appears to us completely free from figures” (253). If Scripture is mediated by figures, then there is nothing inherently wrong with allegory. All of that is quite wonderful, but if the “mediating term” in Scripture is removed, does that mean the correspondence between Origen’s trichotomism (which I accept) and Scripture’s trichotomism breaks down? I think so. De Lubac leads to that conclusion but he refuses to draw it. Origen doesn’t use the New Testament in exactly the same way as the Old Testament. There is a principle of New Testament operation: Christ’s actions are symbols of his spiritual operations (253). But “spiritual” doesn’t mean “not really real.” For Origen and Paul, “spiritual” mean eschatological newness (309). Jesus doesn’t explain the Old Testament; he transforms it (316). De Lubac’s most fascinating chapter is on the relation between History and Spirit and the multiple modes of the Logos. In fact, that’s what the whole book should have been about. Origen’s Logos isn’t the same thing as Philo’s. De Lubac notes, “Philo’s Logos penetrates” into the multiplicity of matter, but Origen’s Logos speaks. He is “as much word as reason” (391). And it is in this chapter where de Lubac most skillfully weaves together the logos of the soul with the Logos of Scripture. There is a “connaturality between Scripture and the soul” (397). The soul and Scripture “symbolize each other.” Origen applies this reasoning beyond the soul to the whole universe. Reality is an ordered hierarchy. As wonderful as this book is, there are some negative points. It is about 100 pages too long (a problem with some of de Lubac’s writings). Further, de Lubac hasn’t fully escaped the prison cell of historical criticism, as he somewhat admits. Person operates by will. Will is a property of nature and energy is operation proper to that nature. So in Christ Incarnate there are two will and two operations proper to each nature, but the divine energeia deifies the human will and energy. The raising of the dead was a willed operation proper to the divine energy, while eating food was a willed operation proper to the human energy, albeit both are willed by one divine Person – the Logos. Thelesis–basic term for “will.” Extremely loaded lexical background. Gnome and proaerisis–a mode of willing bringing to mind sinful and post-lapsarian man. Maximus makes the important distinction between willing and “mode of willing.” We can take the distinction even further to see the capacity of willing and the object of willing (119). The “mode of willing” is the particular way in which a will is actualized. Gnome is a disposition of the appetite: Maximus uses these words to refer to the sinful state. Maximus excludes these modes of willing from Christ firstly, because it would introduce a human person in Christ. Why? While will is a faculty of nature, natures qua natures do not will. Persons do. If Christ had a deliberative will per gnome, and this was part of his human nature, he would now have a human person as well as a divine person (152). Further, as Joseph Farrell notes, gnome is a sub-category of “the mode of willing,” it is not identical with the mode of willing. Excluding the former does not negate the latter. Can saints have free-will in heaven? Sort of. Obviously, they will not sin, but neither will they be robots. How? The wills of the saints in heaven will be one according to the logos of nature, but varied insofar as the mode of movement of the wills is concerned, for each saint will participate in God in a manner proportionate to his desire (157; Farrell also scores huge points on this, Free Choice in St. Maximus the Confessor, 124). Nature exists in a “mode of existence,” which is the hypostasis (Loudonikos 93ff). Every nature has an energy, and the energy is constituted by the principle of nature itself. Each energy reveals God in his entirety in each entity in accordance with the logos of its existence. Thus, the doctrine of the uncreated energies imply the doctrine of the logoi. The distinction between essence and energy (this time with Palamas) promotes the distinction between essence and will in God made by Athanasius and the Cappadocians. Having will by nature is not the same as the act of “willing.” The former is a natural; the latter is modal and hypostatic. The distinction between natural and gnomic is analogous to the distinction between logos and tropos. However, we should not press the distinction too far: Christ has two natural wills but he does not have a gnomic will (or more precisely, he does not “will” (verb) in a gnomic way, since the latter implies uncertainty. Christopher Beeley gives a fine summary and exposition of Gregory’s key orations. Beeley argues that Knowledge of God is a two-fold dialectic of purification and illumination. Our knowledge of God is intimately rooted in who God is. In the sense of God’s grandeur, he cannot be fully known or mastered (95). God isn’t different from us in degree, but kind. He is fully beyond time and space (Or. 2.5; 76). Gregory’s epistemology: anything that can be understood, and all language, is mentally ‘embodied,’ so that we are incapable of transcending the corporeality of our knowing (99-100). This is the negative way of saying we know God. The positive is by the concept of “illumination.” God’s being/light overflows and fills us. This is a dynamic process in which we grow. Gregory’s Christology is connected to the theosis tradition (116ff). As Beeley notes, “We have been created in a state of dynamic movement towards God” (118). Gregory is primarily interested in the dynamic economy of Christ’s divinity. Beeley has a fine explanation of Kenotic Christology: Kenosis and condescension are relative, not absolute terms. They describe the shape of Christ’s assumption (127). Like his Christology, the Holy Spirit is soteriological in character. Since the Holy Spirit deifies and is not deifies, then he is God, full stop. 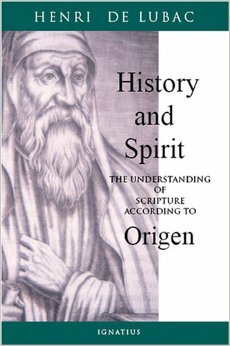 Gregory is drawing upon Origen’s Spirit-Letter dichotomy (166). The Spirit is involved in the self-revelation of the Trinity. “The sequential self-revelation of the Father, Son, and Holy Spirit reflects an increase in the power and intensity of that revelation, so that each successive stage prepares the recipients for the next one” (171). Gregory is more interested in the theology of the divine economy than he is in consubstantiality. “Economy” refers to God’s governance. Monarchia of God the Father: Gregory anchors each person in the unique role of God the father as source and cause (204). It is the ground of the divine unity. In response to Meyendorff, Beeley notes that the first principle of the Trinity is not simply “personhood” but hypostasis + divine essence (212). The book is top-notch scholarship. While it can’t stand alone as a text on St Gregory, if read in conjunction with McGuckin it will give the student a firm foundation in Patristic studies. In terms of the developing Christian-Platonic tradition, this book is Plato at his near-finest. It marks a watershed in Christian reflection and will dominate Christian metaphysics for the next thousand years. In terms of authorship, it is certainly not Paul’s traveling companion, given that he quotes Ignatius of Antioch, who wrote after the turn of the century. Further, his discussion of monasticism reflects a reality that wouldn’t have been established until much later. Argument of book: whatever transcends being must transcend knowledge (593A). The whole is reflected in the part: “Within its total unity it contains part and whole, and it transcends these too and is antecedent to them” (648C). Every part of the universe reflects God’s oneness. He is replicated and differentiated in the energies (is this the same as saying the Logos is replicated in the logoi?). The Good shows forth the processions of God (680B). If we say the processions “go out” from God, we are speaking analogically, for the Trinity isn’t in a place, per se. The Good isn’t a being but excess of being. The Good returns (reditus) all things to itself (700A). All things desire it. The source of every duality is a monad (721D). Every number preexists in the monad (821A). Every number is differentiated as it goes forth from the Monad. Every being derives from the Pre-existent. Being precedes the entities which participate in it. God is not a facet of being, but being is a facet of him (824A). The exemplars of everything pre-exist as a transcendent unity within God. A negation is not simply the opposite of an affirmation, but that which is prior to affirmation (1000B). Hierarchy = sacred order, activity or understanding (164D). Because the divine realities are invisible, they must be communicated and mediated through symbols. As is usually the case with Platonic and Neo-Platonic literature, it is often soaring in terms of beauty. Ps. Dionysius’s discussion of the priest-as-hierarch needs to be seen as hyperbole. Few people are at that level of Being. Further, his discussion of monks, not only reflecting situation that wouldn’t have arisen some centuries later than 70 AD, places the monk at the highest level of being. But when you read Paul’s comments on the equality of believers and table fellowship, it’s hard to square the two.